Loch a Chroisg tends to be an all or nothing sort of location and it usually depends very much on time of day and the quality of the reflection. Get this right and this loch really sings photogenically. A winter afternoon brought very soft light a near perfect reflection and snow more or less to the waters edge. 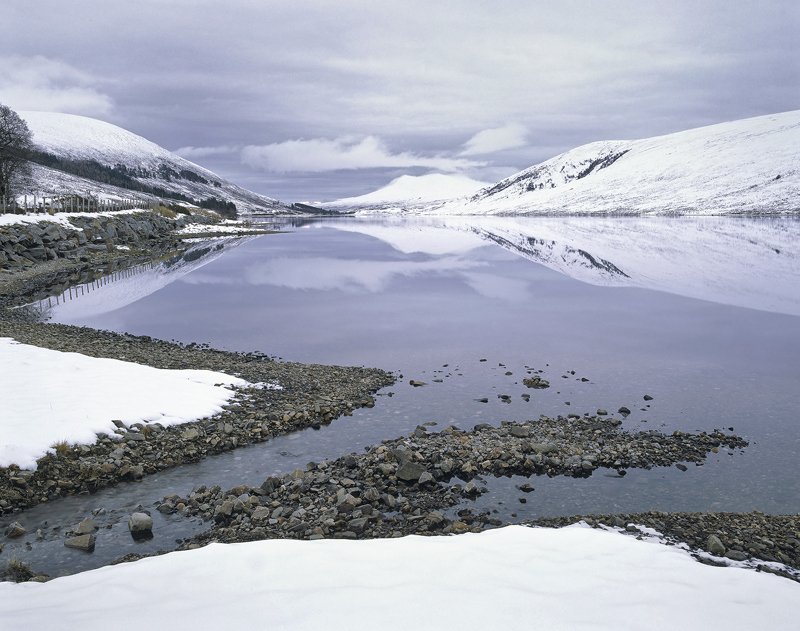 Its simple curving stony foreshore creates beguiling lines that meander into the distance while soft clouds reflect between the curve of the snow covered peaks. The complex patterns hold the eye beautifully.